We are a family-run, manufacturing company located in Dopiewiec, at the outskirts of Poznan city in Poland. Quality is our priority. We have been building our brand since 1989, investing in best European resources. Our machine background focuses on direct printing on textiles. For many years we have been supplying European countries in best quality flags, banners, and other advertising products. Undoubtedly, advantages of our business include supreme quality, promptness of delivery, and craftsmanlike knowledge, enabling to choose best resources available on market. Stable high printing quality, verified inks and resources: that’s us. We pick our business partners carefully, so our suppliers are selectively chosen. It is also our concern, that our products should support European economy. Thanks to our longstanding experience, we have gained knowledge, needed for developing unique and unconventional solutions including innovative methods, such as using resources with grammage of 155g/m2 for digital flag printing, with well-saturated colors on the back side of the print. By implementing such method, we have managed to upgrade traditional, much more expensive screen printing. Technology we use allows us to shorten the time of production, thus speeds up time of delivery. Currently, our machinery background consists of: 5 different digital plotters for printing directly on fabric with sublimation ink, and printing on paper, devices for heat treating of printed area, sewing machines, thermal machine presses, and supplementary equipment for finishing and refining the textiles. This all gives us a production capacity of around 250m2/h in print. Possible printing width is for now 320 centimeters, in available resolutions ranging from 360 dpi to 1440 dpi. Machine, which prints 320cm wide, allows for production of big, steamless planes. As a result, larger flags look much better, and also become more resistant to weather conditions. We have developed our company, in order to expand machine background, and due to that investment, we enlarged our production capacity. Visit us! 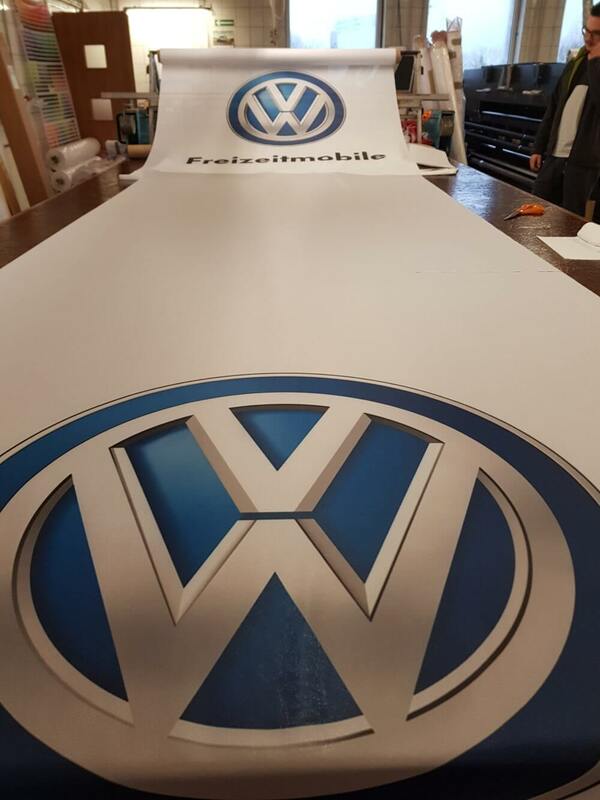 See for yourselves, how we print hundreds of square meters of flags, banners, roll-ups, and other advertising textiles.